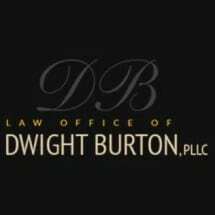 Regardless of your legal need, you can turn to our experienced attorney at the Law Offices of Dwight Burton, PLLC, for assistance. Mr. Burton will take the time to understand your challenge before explaining the options you have for overcoming it. If you would like to learn more about our law firm and how we can help you, we invite you to schedule a free initial consultation at our Bowling Green law office. If you are struggling to climb out of debt, you face many obstacles and challenges every day. Chapter 7 can help you make a fresh financial start. For many who do not pass the means test for Chapter 7 bankruptcy, or for families trying to save their homes from foreclosure, Chapter 13 bankruptcy is often the best way to eliminate debt and put an end to creditor harassment and wage garnishment. At the Law Offices of Dwight Burton PLLC in Bowling Green, we provide aggressive criminal defense representation for people in South Central Kentucky and Middle Tennessee. While bankruptcy has gained an unfairly negative reputation over the years, it is the life preserver many families need to hold on to what they have worked so hard for and get a fresh start to their finances. If you are struggling with a difficult legal issue, you deserve to receive personal attention and skilled legal representation from a lawyer who truly cares about the outcome of your case.